The TA Practitioner program is administered through the USA Transactional Analysis Association (USATAA). If you are interested in this program, we recommend your joining USTAAA while you train at Southeast Institute for Group and Family Therapy. Transactional Analysis (TA) Practitioners apply transactional analysis in a variety of settings including psychotherapy. A TA Practitioner sometimes rely almost exclusively on TA and sometimes integrate it with other modalities. The integration of TA and gestalt therapy is redecision therapy. We also offer certification as a redecision therapist. For psychotherapists using an eclectic approach, TA offers a solid base for integrating and understanding a variety of other psychotherapeutic modalities. Clients appreciate TA for the models and clear language it gives them to frame their own difficulties and challenges. The language, models, and understanding are often empowering to clients, allowing them to take charge of their lives in new ways. An excerpt from TA Today by Ian Stewart, Ph.D. and Vann Joines, Ph.D.
Transactional Analysis is a theory of personality and a systematic psychotherapy for personal growth and personal change that was developed by Eric Berne, M.D. Among psychological approaches, it is outstanding in the depth of its theory and the wide variety of its applications. Transactional Analysis is practiced worldwide and has national organizations for training and certification in most countries. As a theory of personality, transactional analysis gives us a picture of how people are structured psychologically using the three part ego-state model. Transactional analysis also provides a theory of communication that can be extended to analyze systems and organizations. Transactional analysis further offers a theory of human development. The concept of life script explains how our present life patterns originated in childhood. The concepts of Rackets and Games provide explanations of how we may continue to replay childhood strategies in grown-up life, even when these produce results that are ultimately self-defeating or painful. Transactional analysis provides a complete theory of psychopathology, diagnosis, and treatment. 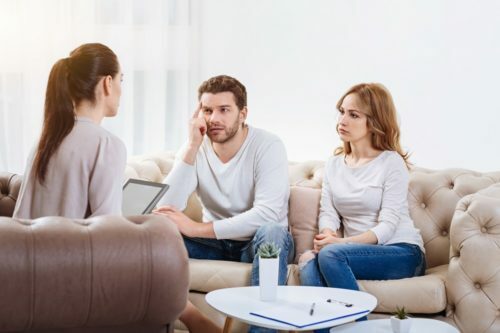 In the area of applications, transactional analysis offers a system of psychotherapy that can be used with individuals, groups, couples, and families to treat all types of psychological disorders, from everyday problems of living to severe psychosis. It is also used in educational settings to help teachers and learners stay in clear communication and avoid setting up unproductive confrontation, It is further used in management, communications training, and organizational analysis to improve working relationships, problem-solving, and organizational efficiency. In fact, transactional analysis can used in any field in which there is a need for understanding individuals, relationships, and communication. It is one of the clearest conceptual frameworks for understanding psychological issues and how those can be changed. People are okay. This is a statement of essence rather than behavior. It means that each of us has worth, value, and dignity as a human being and deserves to be treated accordingly. People decide their own destiny in making early script decisions and these decisions can be changed. The use of contracts to provide mutual collaboration and joint responsibility in the therapeutic or consulting process. The use of open communication so that the client and the practitioner both have full information about what is going on at each step in their work together. The goal of transactional analysis is the achievement of autonomy through updating the strategies for dealing with life that we decided on in childhood. Autonomy is defined as awareness, spontaneity, and the capacity for intimacy. For further information see TA Today: A New Introduction to Transactional Analysis by Ian Stewart, Ph.D. and Vann Joines, Ph.D. The TA 101 offers an overview of transactional analysis. It also offers exercises for you to explore yourself and your life. Learn about how your history shaped who you are today, and how to change!